With the league action in the top division off this weekend, for the most part, bar the refixed clash between Westport United and Ballina Town in Belleek on Saturday night, despite the attempts of Westport to seek a postponement which was refused by the league, the main focus of action moves to the Westaro Cup semifinals where two tasty clashes are coming up. On Saturday night Ballyglass will host Iorras Aontaithe in Milebush Park, and on Sunday Ballyheane and Manulla will meet in the same venue. 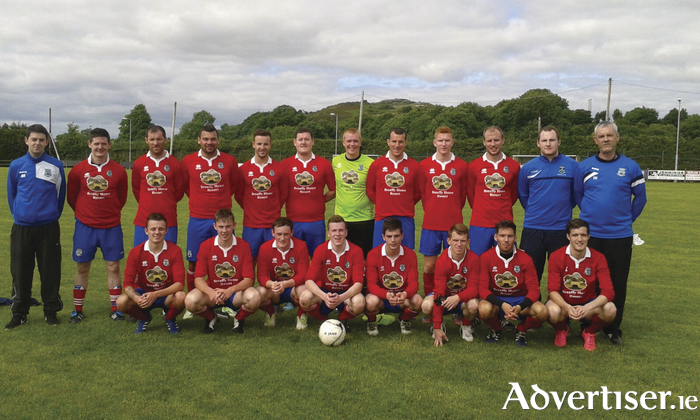 In the first semifinal Ballyglass will head into the game full of confidence following their 6-2 win over Castlebar Celtic on the road last weekend. JP O'Gorman was the main man for Ballyglass hitting a hat trick inside the opening 51 minutes of that game. Ballyglass led 2-1 at the break thanks to O'Gorman's strikes either side of Conor Griffin pulling one back for the hosts, before Ballyglass ran in four more goals in the closing 45 to see Celtic concede six for the second game on the bounce. Iorras come into the game on the back of a 3-2 loss on the road to resurgent Glenhest Rovers, in a game they missed the same spot kick twice after the initial effort by Ivan Barrett had to be retaken. The north Mayo men have won just two league games all year and a win here could be the spur they need to kick on over the second half of the season but it's going to be very tough for them. The Sunday meeting of local rivals Manulla and Ballyheane should be a good encounter, the Manulla men come into the game off the back of a surprise 3-2 win over Ballina Town last weekend, inflicting the first league defeat of the season on the league leaders. Gary Durcan, Conor Byrne, and Gary Concannon were the men to find the net for them in this big win, a game in which Manulla togged out in red jerseys, their original colours to mark the club's 40th birthday celebrations. Ballyheane were held to a 2-2 draw by Claremorris last weekend, and with just one league win under their belts they are struggling to find the kind of form they know they have in them. They hit the back of the net at the start and end of the game against Claremorris with Ashley Jensen putting them ahead six minutes in, before Claremorris hit them for two either side of the break and Ballyheane needed an injury time goal from Brian Tobin to rescue the point for them. They will have to be in much better form this weekend if they are to make the Westaro Cup final. The other game in the Super League last weekend saw Westport United close the gap on league leaders Ballina Town to just a single point thanks to their 3-1 win over Conn Rangers at home. Goals from David Hoban, Darren Browne, and Jack Murphy saw them home, and with Manulla beating Ballina Town the race for the title got even tighter as the half way stage approaches for both sides this weekend.